* Confucius admits that there is probably a time and a place to mention that the party isn’t meeting your expectations, but it probably isn’t in front of all the other party goers who happen to be enjoying it. 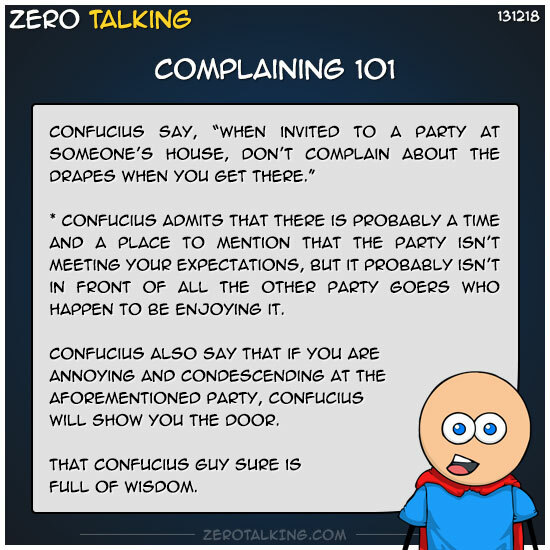 Confucius also say that if you are annoying and condescending at the aforementioned party, Confucius will show you the door. That Confucius guy sure is full of wisdom.